Amazon.com is said to be launching their applications store for Google Inc’s Android Mobile platform by the Wall Street Journal on Thursday. If this will happen, Amazon will be in competetition with other available application stores online from Apple Inc., as well as from Google itself. 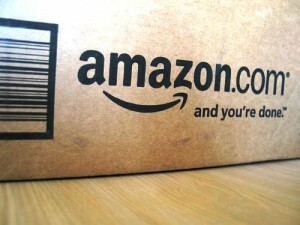 Amazon.com is America’s largest online retailer. Just recently, they started selling eBook contents through the Kindle platform. Although few application games have been released for Kindle, an application store that would be used for several Android phones and tablets would benefit the online shopping giant. The Amazon spokesman, when asked for any feedback regarding the speculations, replied through email that they have not announced anything yet. On the other hand, Google did not mention anything about it. According to the Google spokesman, they do not comment on rumor or speculation. Amazon has wanted to become a software selling company. Based on the given report from Wall Street Journal, the company only wants a 30% cut of profit. This means, application developers will get a total of 70 percent revenue from sales. The 70/30 revenue sharing arrangement is actually the same as what Apple uses for its application developers. Google’s Android Marketplace only has 80,000 applications while Apple’s applications store has more that 270,000 apps to boast. Android mobile has been gaining popularity around several smartphone users. They have even begun competing with Apple iPhone handset. Several devices are already Android-installed such as Samsung’s Galaxy S and Motorola’s Droid.